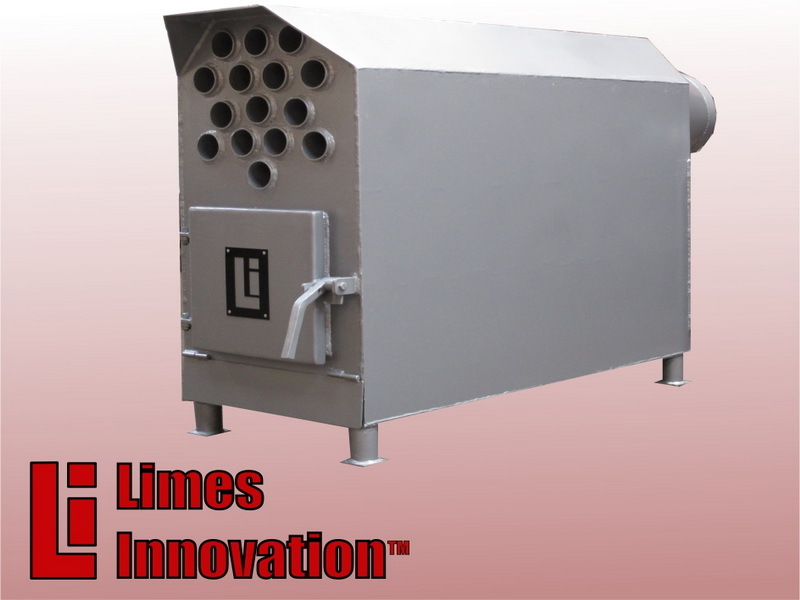 Limes Innovation’s A-series is a strong range of products consisting of 6 boilers all suitable for automatic burners. 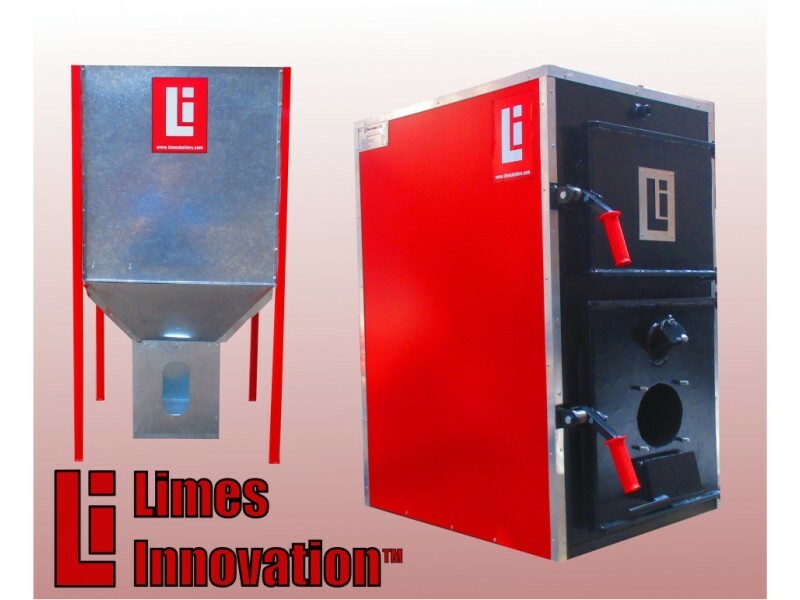 Limes Innovation’s boilers are a reliable and handy product easy for use and of high efficiency, where no compromise has been made concerning the quality. In a growing global market the A-series that we offer is real and cost-effective choice for anyone looking for efficiency and quality at a reasonable price. 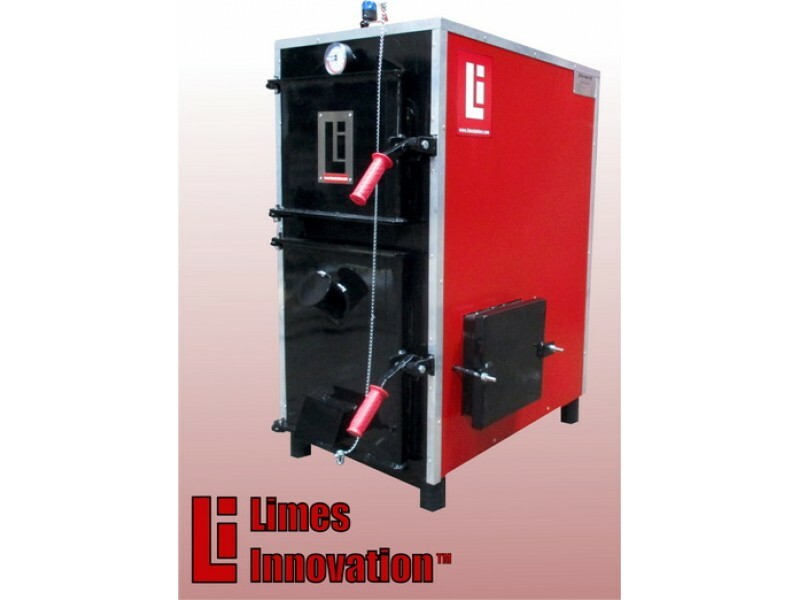 The boilers are with parallelepiped combustion chamber and double-acting gas flame tube bundle. 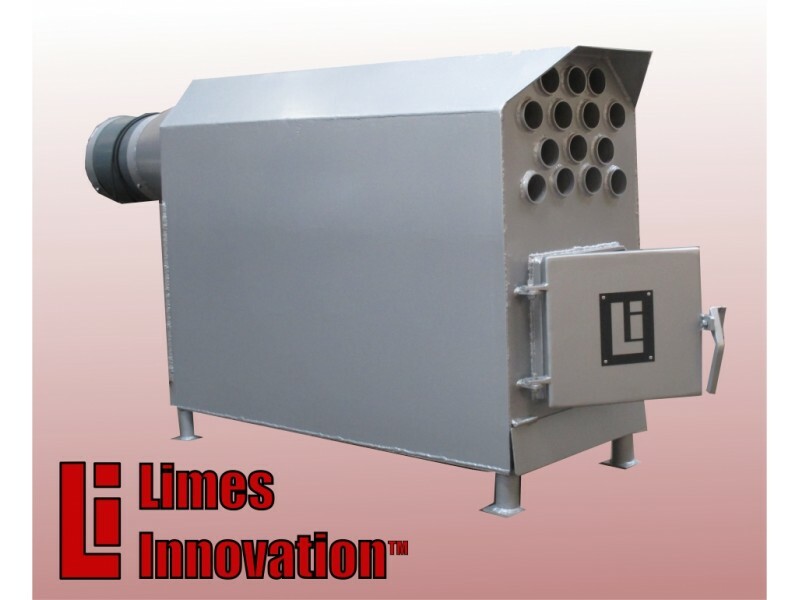 The combustion chamber is made of steel with a thickness of 6.0 to 8.0 mm and the other elements, such as water jackets, front and back sides are made of steel with a thickness of 5 mm. The tube bundle is made of seamless steel tubes. The lower tube bundle moves the flue gases from the rear of the boiler to the flue collector in the front part from where the top tube bundle pushes the gases to the smoke box in the back end thus using optimum heat of the flue gases. The boilers are equipped with cast iron grate and ash box. 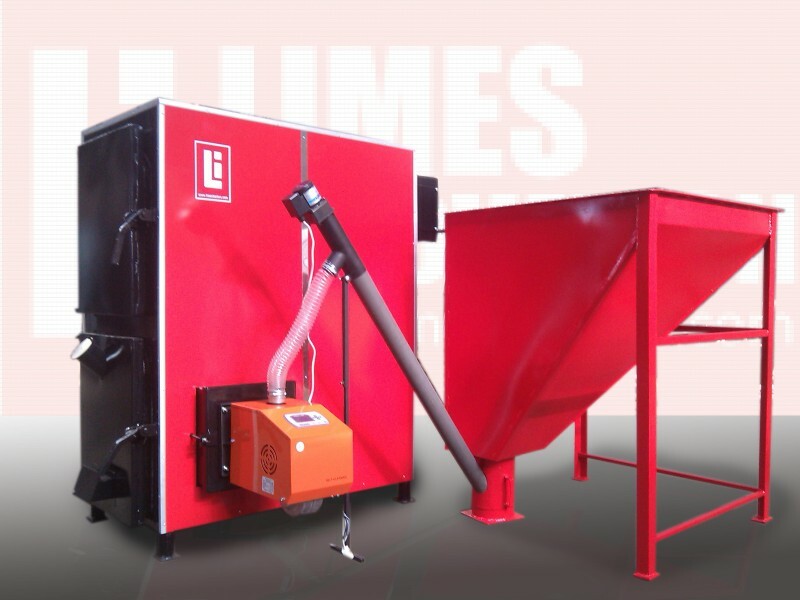 An advantage of these boilers compared with the B series are the smaller overall dimensions at equal power, which is achieved due to both the course of the exhaust gases, and the smaller combustion chamber. 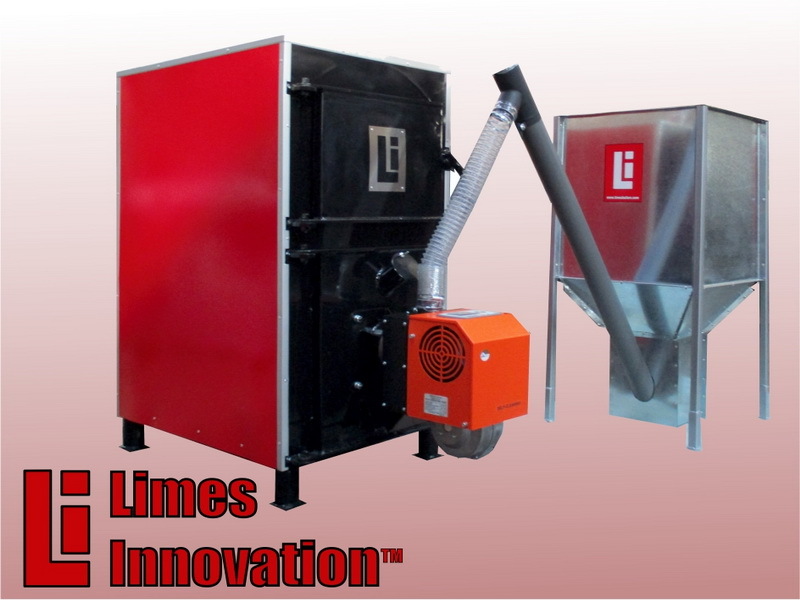 The boilers are well insulated with rockwool laminated with aluminum foil. The door of the combustion chamber and that of the closing flue collector above it are covered with refractory concrete for insulation and preventing them from burning during the operation of the boiler. These boilers are intended for central heating systems of smaller residential and family houses, premises and smaller production units. 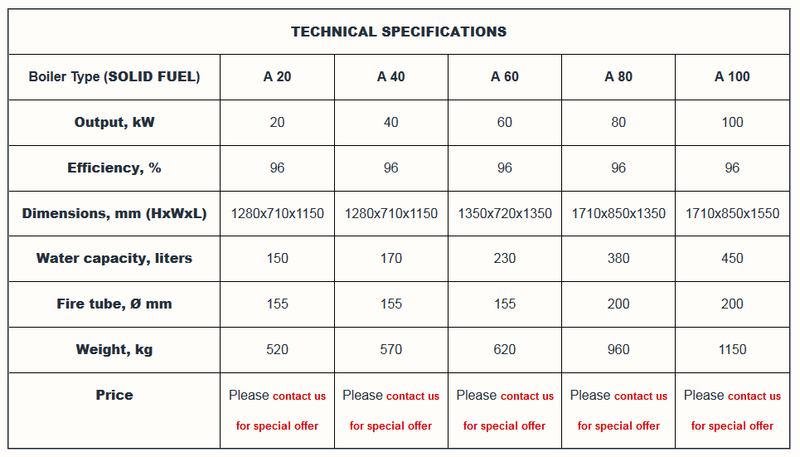 A 20–A 100 are a combination with solid fuels. 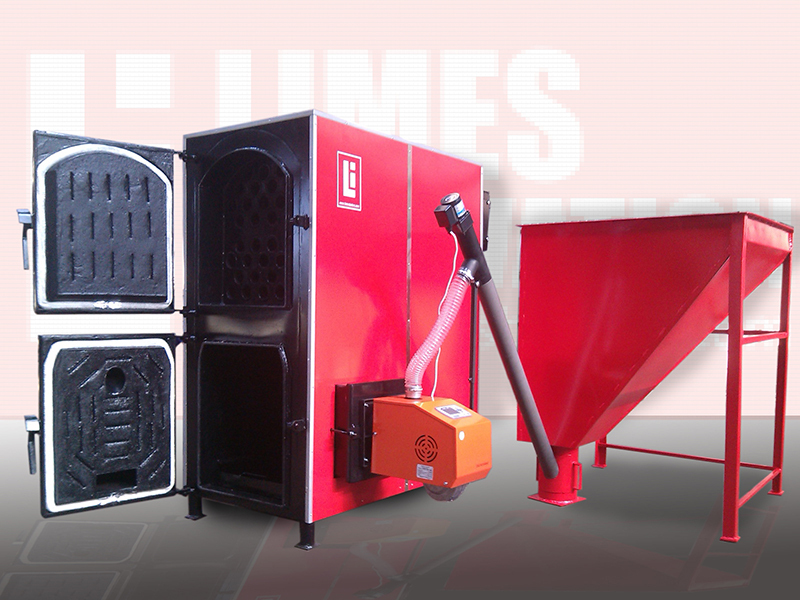 It is here possible to burn woods/pellets simultaneously with pellet burner. They are intended for operation temperature regime of 90/70oC. 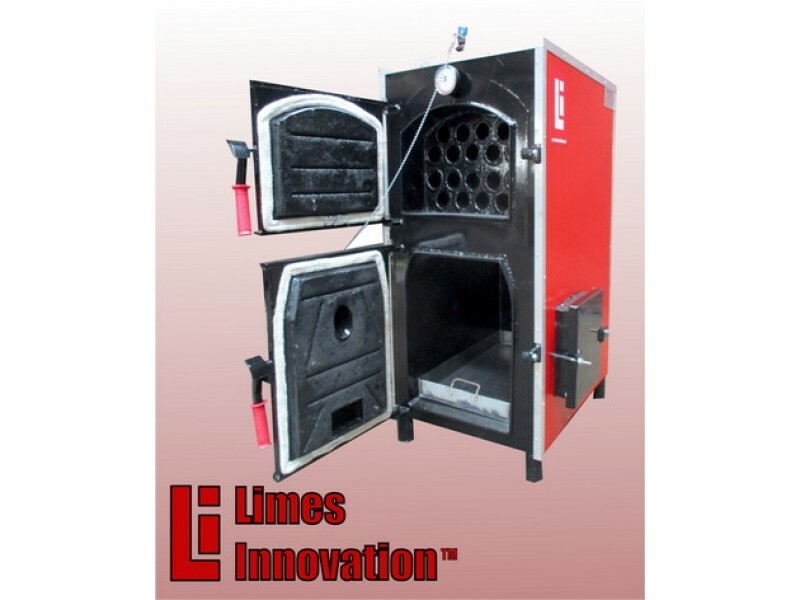 Cleaning of the boiler is simple and easy, and boiler cleaning kit may be delivered together with the boiler. The A-series are made of carefully tested quality materials and according to the state-of-the-art construction principles. 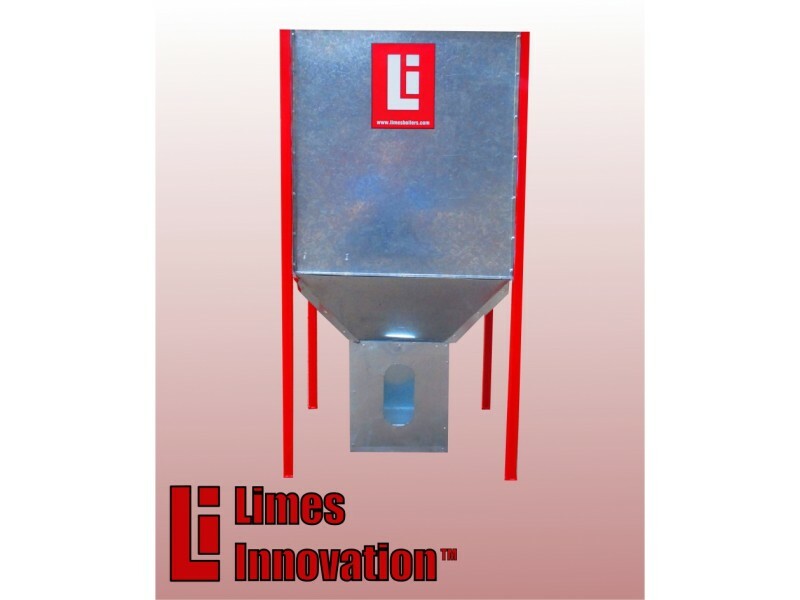 Installation and putting into operation are simple and the connections are standard. Calculate power according to your conditions.